"Find a grave" of notable figures in Rockville and American history on Saturday, September 10, from 9:30-11:30 AM, as Peerless Rockville hosts a guided walk through Rockville Cemetery. Dating back to the 1750s, the historic resting place has many familiar names on its grave markers. 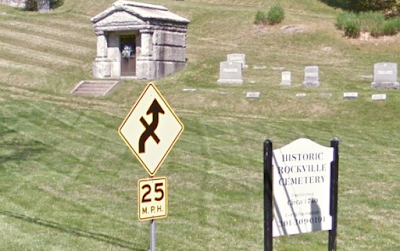 Co-sponsored by the Rockville Cemetery Association, the walk will be led by historian Eileen McGuckian. The cost is $15 for the general public, and $10 for members of Peerless Rockville, a historic preservation organization. There are only 40 spots on the tour, so sign up early if you are interested. To reserve your spot, call 301-762-0096, email info@peerlessrockville.org, or sign up online. The cemetery is located at 1350 Baltimore Road.